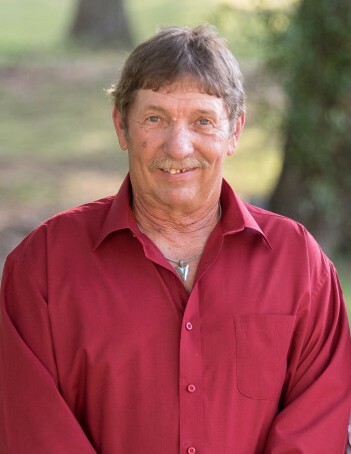 Cecil Lee Pickett Jr. passed away on October 11, 2018 in Willow Park, Texas surrounded by loving family members. Cecil was born on October 18, 1951 to his parents, Cecil Lee Pickett and Alma Jo Gordon-Pickett in Fort Worth, Texas. Cecil was the eldest of five children raised in Fort Worth. He was part of the graduating class of 1970 at Eastern Hills High School. After graduation, Cecil worked close with family members and eventually mastered his carpentry trade. His connection with nature through hunting, fishing and other outdoor activities brought him great joy. He also enjoyed cheering on his favorite drivers of NASCAR as well as his beloved Dallas Cowboys. Above all, Cecil loved the precious time spent with family and friends. They were everything to him. They always had his heart, and now his memory shall remain in theirs as they reflect back upon his life. Cecil is survived by his son, Ricky Pickett; daughter, Suzi Miears; daughter, Jennifer Pickett- Stanford and husband Shawn; and their mother, Christy Welch; son, Kevin Tindol and fiance Tisha; son, Cody Tindol and wife Kaylei; daughter Shaella Sanders and husband Jac; and their mother, Joy Alexander; son, Scott Hudgins; his grandchildren, Danny, Andi, Derek, Taylor, Madi, Riley, Kalen, Mckenna, Keigan, Mason, Morgan and Kinzler; great granchild, Marlee,and another on the way; brother, David Pickett and wife Dusty; sister, Cindy Logan and husband James; brother, Perry Pickett and wife Jackie; aunts and uncles, AJ Pickett and wife Cheryl, Roxie Kirbie, Donald Pickett and wife Laquetta, JC Gordan and wife Ramona, Herman Gordon and wife Jane; several nieces, nephews and cousins along with other loving family members and friends. Cecil is preceded in death by his parents, Cecil and Alma Jo Pickett; his sister, Kimberly Pickett; his grandparents, Andrew and Maggie Pickett, and Sam and Wilna Gordon.